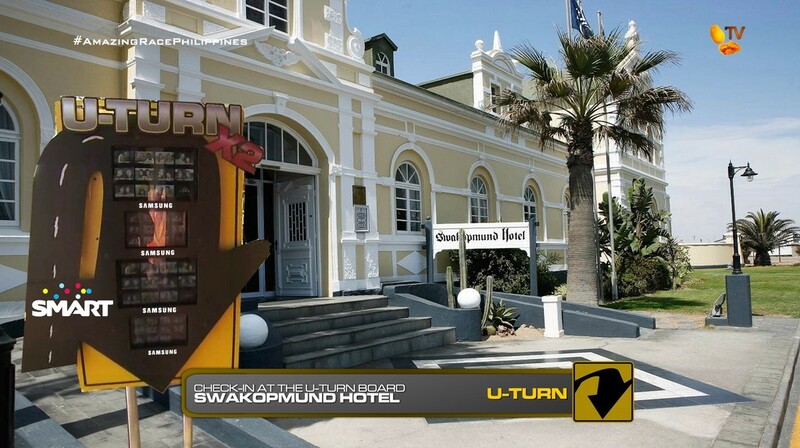 Teams open their first clue of the 8th Leg in front of the Swakopmund Railway Station turned Hotel and immediately find a Forced Double U-Turn board! After teams vote, they will continue on to secure tickets to their next destination: Frankfurt, Germany. Teams will get themselves onto one of two flights. 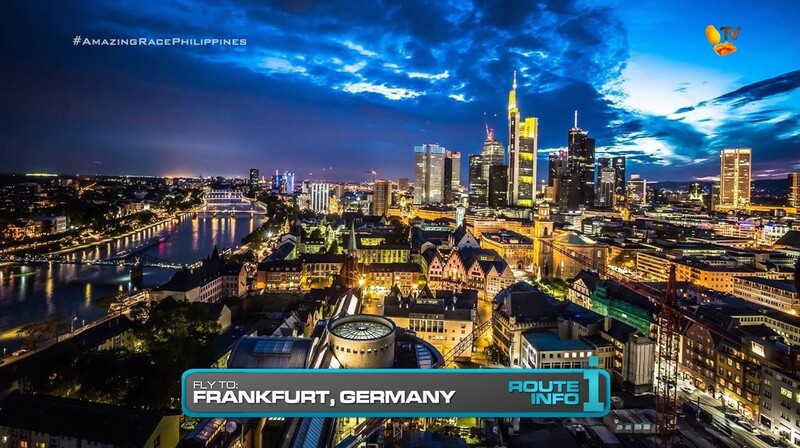 The first flight via Johannesburg on South African Air arrives in Frankfurt at 6:10am. The second flight via Windhoek on Air Namibia arrives in Frankfurt at 7:55am. 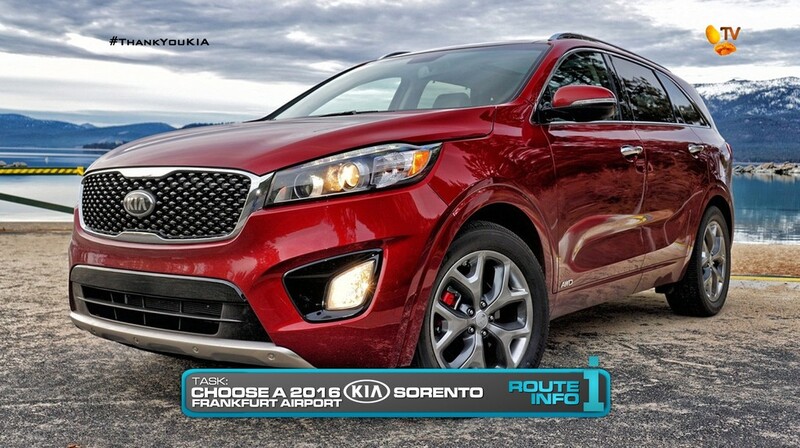 Once in Frankfurt, teams must search for flagged 2016 Kia Sorentos in the airport carpark. Each car contains their next clue. Teams must find “Langer Ludwig” in Darmstadt. 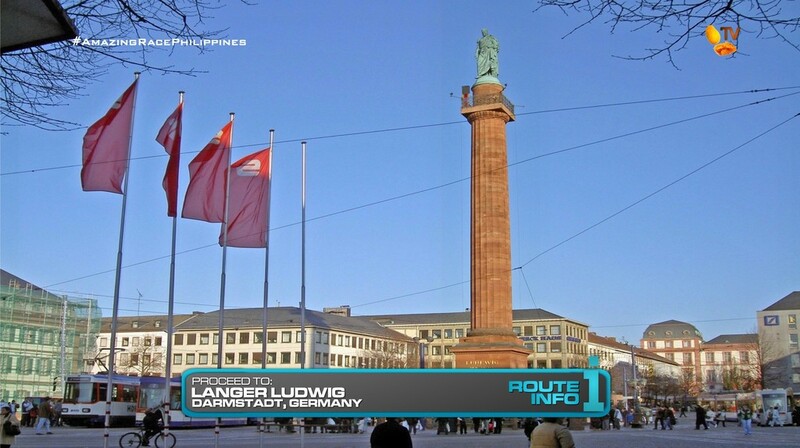 Langer Ludwig is a statue on top of a 33m column which they must climb to get their next clue. That clue reveals the Detour: Two Wheels or Four Wheels. 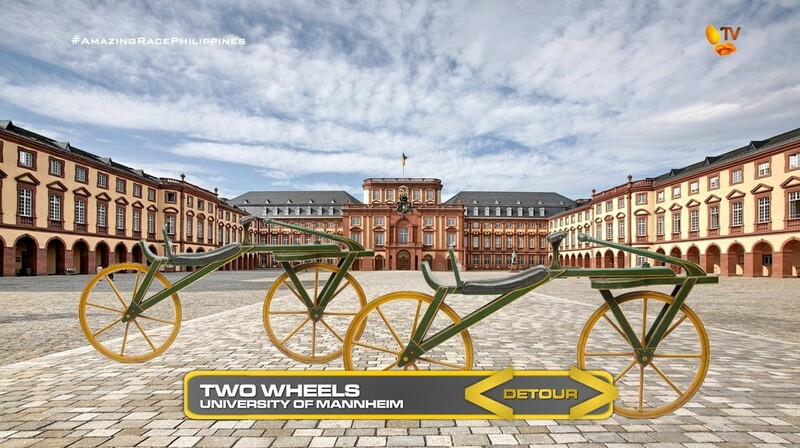 In Two Wheels, teams will drive to the University of Mannheim and assemble two draisines, the first bicycle built by Karl Drais. They must then both ride the draisines around a marked course without falling over and within the allotted time to receive their next clue. 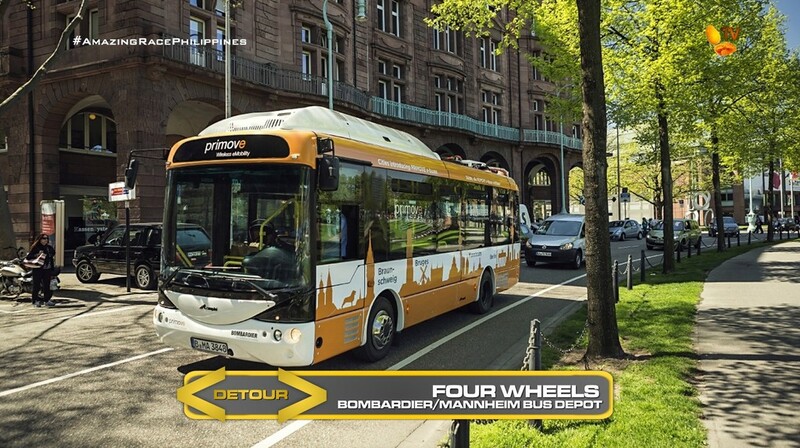 In Four Wheels, with the help of a professional technician, teams will install a brand new, clean diesel engine into a Bombardier-produced bus and deliver it to the Mannheim Bus Depot to receive their next clue. 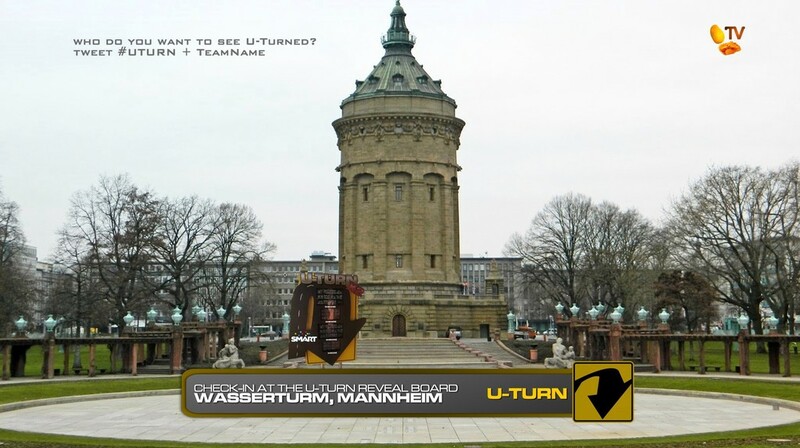 After the Detour, teams must find the Wasserturm where they will find the Double U-Turn Reveal Board. And their next clue. 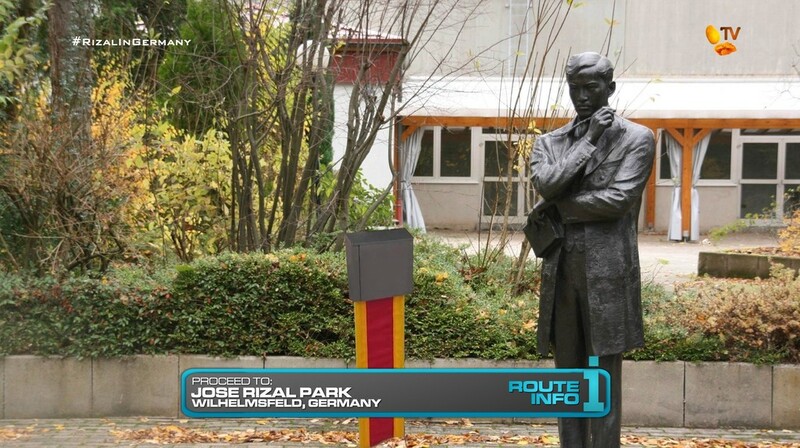 That next clue directs teams to find Jose Rizal in Wilhelmsfeld! Teams will need to figure out their next clue can be found at Jose Rizal Park which commemorates Rizal’s time living and studying in the area. 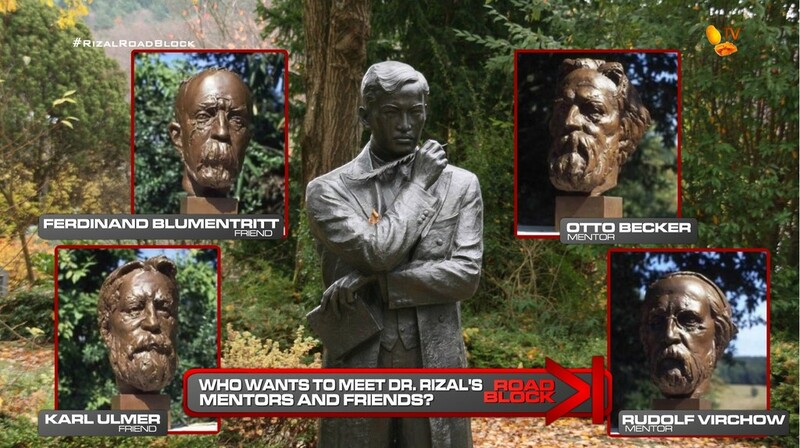 That clue reveals the Road Block: Who wants to meet Dr. Rizal’s mentors and friends? 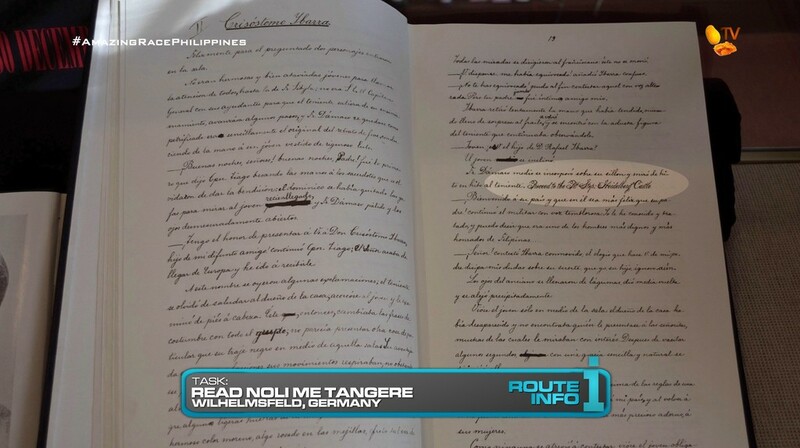 For this Road Block, teams must first study four busts of Jose Rizal’s friends and mentors here in Germany: Professor Otto Becker, Professor Rudoplh Virchow, Pastor Karl Ulmer and Professor Ferdinand Blumentritt. Teams CANNOT take written notes. Teams will then make their way on foot to the home of Pastor Ullmer on Jose Rizal Street where they will find that they must match the pictures with the names of the men, the years of their births and deaths and which two were mentors and which were friends of Rizal. They will then need to memorize the line written by Freidrich Schiller from the play William Tell and posted at the park. They will recite the line to Pastor Ullmer’s grandchildren to receive their next clue and an apple they must keep with them until further notice. That clue is a manuscript of of Noli Me Tangere. 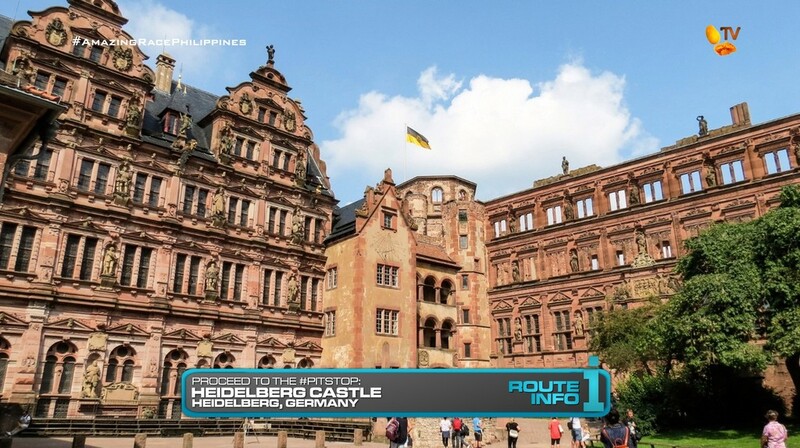 Teams must search through it for the location of their next Pit Stop: Heidelberg Castle. This should be a good solid Leg. It’s good to have the Forced Double U-Turn at the beginning of the Leg to allow teams the chance to catch-up and recover. The Detour itself should be interesting. I’m not sure if any teams would really choose the engine installation side of the Detour though. And I don’t really want to make it a TAR Canada-style “Limited Stations” Detour. But I guess that’s the choice teams will need to make. I do think both tasks have their difficulties. One could always make the bicycle harder than it looks too. With Frankfurt a necessary post-Namibia location, I was surprised to find all this Rizal info while Googling interesting places around the area. I had thought of this task a while ago. But after watching TAR Canada 3, I realized that this Rizal task is kinda like TAR Canada’s (sometimes forced) efforts to always include or find a Canada-related thing in each foreign city they visit. With this Rizal task though, it should be an interesting bit of information for people (like myself) who didn’t know or maybe forgot about Jose Rizal’s influence not only in the Philippines, but around the world. That Noli Me Tanger final task should be a nice little challenge at the end of the Leg. And that apple will be very important in the future. I don’t remember there ever being a clue that carried over into the next Leg. So woohoo! Starting brand new twists on TARPH! Hehe.